I’m sure most of you already know what a Drawdio is (original, another). We have used them a few times before for soldering workshops. They always go down well as they are pretty fun little things. After (another) late nights etching and drilling earlier this year i decided I was getting pretty bored of hand making the PCB’s each time so I thought it might be a pretty cleaver idea to have a batch of boards printed up. I didn’t really want to just completely copy the originals, for a couple of reasons. More on that below. In principal, it’s much the same as the original versions of the Drawdio. 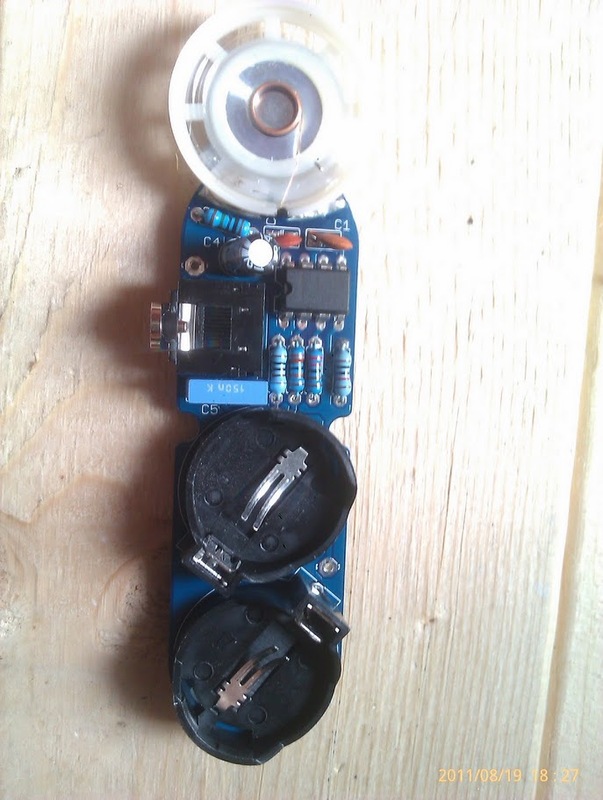 Notable changes (from the Ladyada design) are the replacement of the tlc551 with an na555n chip, the addition of a line out (so it can be plugged into things) and replacement of the AAA battery with 2 CR2032 coin cells. The board has been given some nice curvy dimensions, the ones at the top having been specifically made to accommodate the speakers obtained for the kits. The CR2032’s are attached at the bottom of the PCB, and do take up quite a lot of real estate – but are pretty light. And if you’ve got some skills, the speaker can be directly attached to the PCB by soldering through the big pads on the top. Whilst helping people solder these up at the Brighton Mini Maker Faire it did however become fairly obvious that it wasn’t a very good idea to recommend that people do this if they haven’t soldered before. 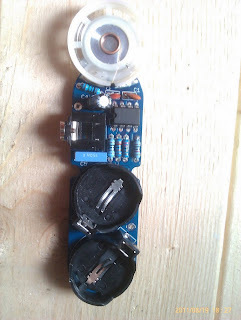 The plastic casing of the speaker was completely fine, but the glue that held the small PCB on to the speaker had a tendency to melt and snap the tiny wires in the speaker. 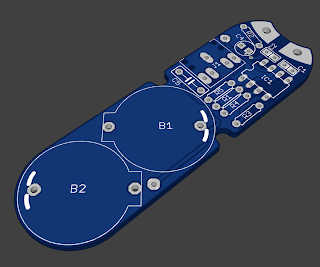 For anyone who wants to have a go at making one themselves, the schematic above is the current version. Complete kits are available using the links below. Postage is to UK & EU only (using EU option). Proceeds go to help BuildBrighton Hackspace!